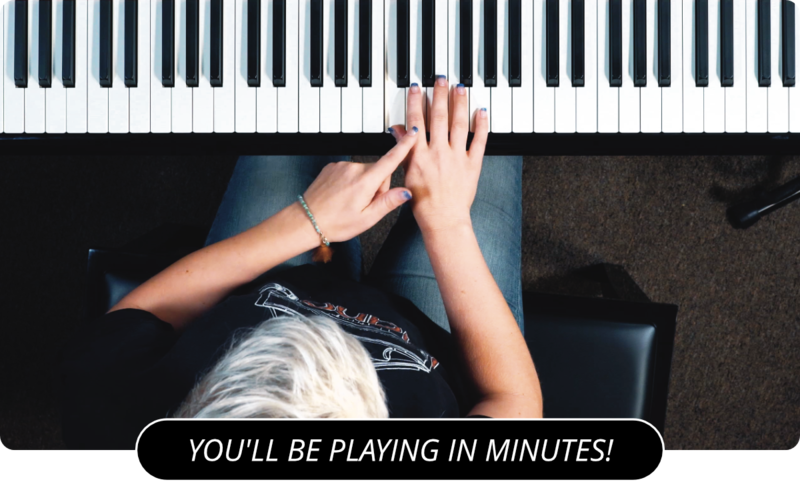 To do well in jazz piano lessons or any other kind of piano playing technique, there are a few things to keep in mind before playing. If you try playing without understanding a few basic ideas, you’ll not be as successful. First, warm up and stretch your muscles out, because like any other muscle, the muscles of the fingers and hand can be damaged if you don’t warm them up. It can also help to literally warm up by running your hands under warm water for a few moments beforehand. After you do this, get your fingers in gear by playing 5-finger scales, arpeggio runs and major scales. These are all parts of jazz, so practice them well. Practice your songs and techniques in smaller bits rather than trying to learn a whole song at once. I prefer to go with maybe 3 or 4 measures, make sure I have that down and move on to the next. For hard rhythms, if you’re not quite able to pick it up try singing the rhythm – this helps you to actually get a feel for it rather than simply trying to read it. Start out slowly with difficult parts and then build your speed – if you try to play fast at first, odds are you’ll get the section wrong and you’ll only be getting better at playing it wrong. Learn it correctly, and speed will come with time and practice. A metronome is a good way to keep tempo during jazz piano lessons, but I recommend a digital one as they’re more accurate than the kind you have to wind up. You can set the tempo to a slower beat, and pretend that the ticks of the metronome are the second and fourth counts of a measure. Jazz often accentuates off-beats. Make sure, also, to watch the music rather than the keys you’re pressing. After a certain point, you should know the layout of a keyboard well enough so that you don’t have to look to figure out where the notes are. Practice every day as well – it’s better to practice for a few minutes every day to keep the skills fresh in muscle memory than it is to have a long two-hour session during the weekends. Another reason for this is that most people tend to lose concentration on a task after about half an hour. Any time after this, you’re likely to get distracted and not really be spending your time well. Try to make your practice sessions comfortable – if you’re uncomfortable, you’ll not really want to practice. To do this, get a bench to sit on that’s the proper height; you can look straight at the music without needing to look up or down. Have your room lit well so you don’t strain your eyes, and try to get rid of any distractions (that’s right, get the TV out of the room if you can, it’s a likely distraction.) Also, get yourself on a practice schedule by setting aside the same block of time each day. This helps your mind get used to practicing and it’ll subconsciously get in gear before practice starts. After reading through this section and you feel the need to diversify your playing you want to expand your playing even more look at the blues piano . If you are hoping to get deep into Jazz then purchasing a piano tutorial book or piano DVD may be a worthwhile investment for you. Following these hints will help your jazz piano lessons turn out successfully for you. You may not be playing the greatest jazz songs of the 20th century yet, but you’re off to a good start. Learn more about jazz piano lessons by visiting the main page of PianoLessons.com , or by going to piano lesson articles and reading the other instructional material that we've posted on this web site.